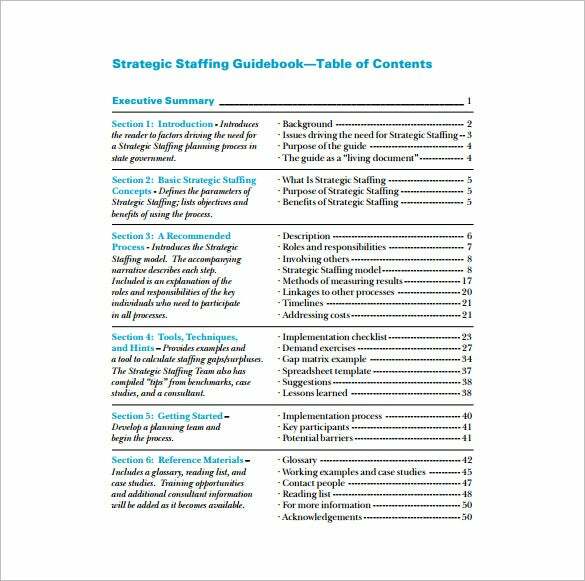 Use a Staffing Plan Template for organizational staffing. 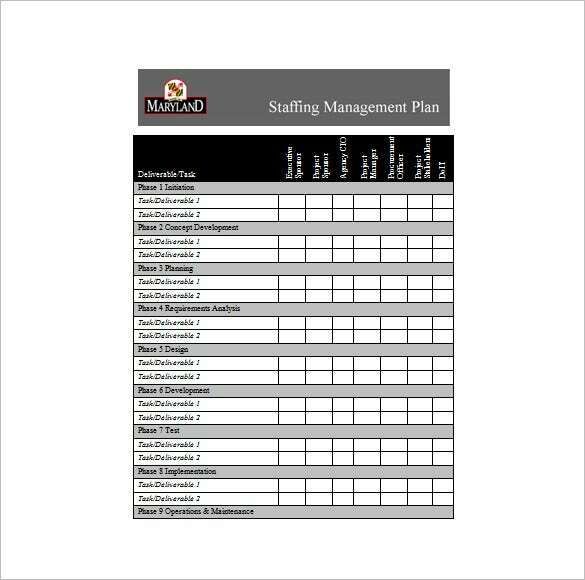 The plan you write on Work Plan Templates should cater for both incoming and existing staffs. Simple things like making the offices more comfortable can elicit positive attitude from employees. This you can do by installing air conditioners, introducing flowerpots, and getting better seats for everyone among other things. 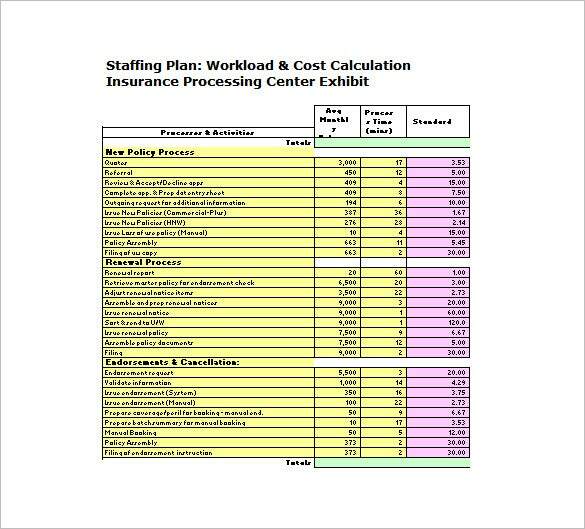 Include all these in a staffing plan for easier monitoring.You may also see Plan Templates. 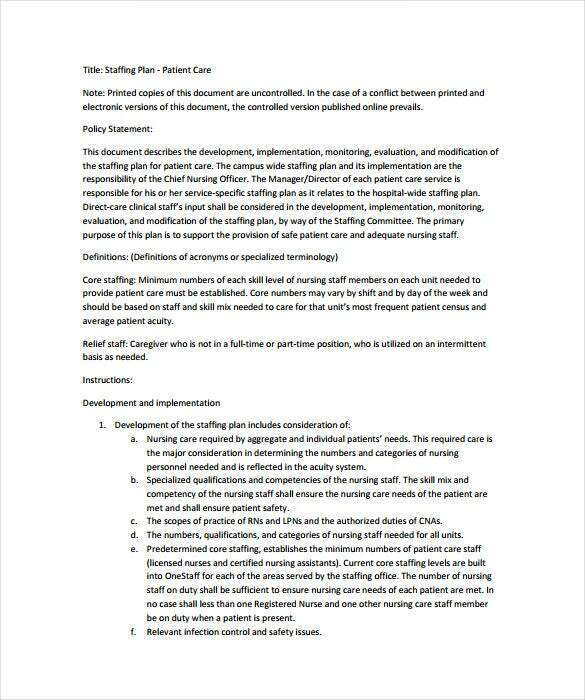 oahhs.org | Patient Care Staffing Plan Example is a Free PDF Template which describes the development, implementation, monitoring, evaluation, and modification of the staffing plan for patient care. Patient Care staffing plan and its implementation are the responsibility of the Chief Nursing Officer. The Manager of patient care service is responsible for his or her service-specific staffing plan. 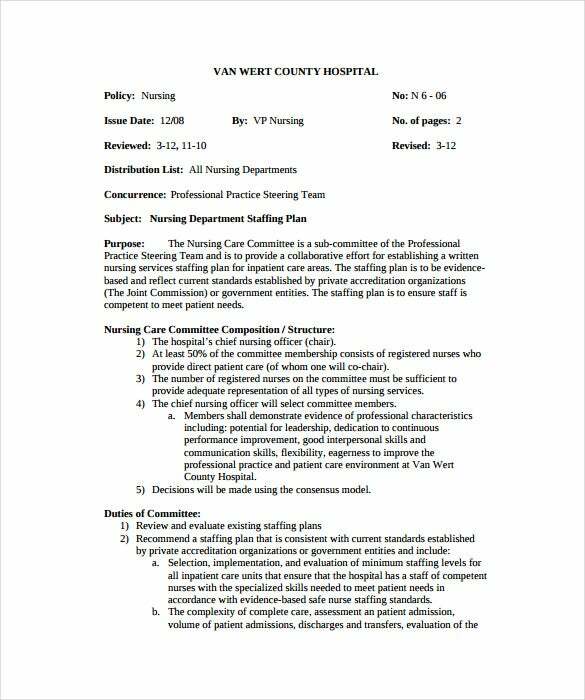 vanwerthospital.org |There’s a nurse staffing plan template available too. The temple is in PDF format and it is free to use. 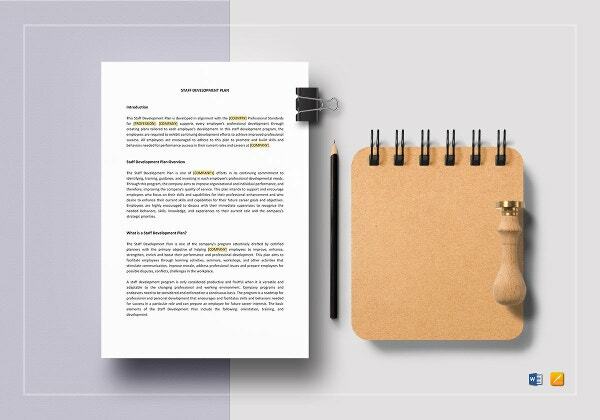 The template lets you prepare the relevant document which includes an elaborative structure which explains the names and roles of nurses in different patient areas. It also stipulates the norms and standards laid down by authorities pertaining to the nature and quality of nursing services which must be meted out to patients. 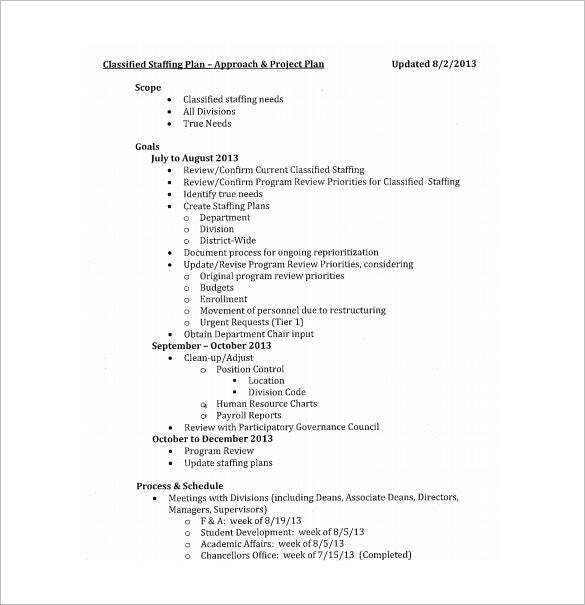 ccsf.edu | Classified Staffing Plan Sample is a Free, ready to use, PDF Template which caters to the need of both incoming and existing classified staff. Simple things like making the offices more comfortable by installing air conditioners, flowerpots, coffee machines, and getting better seats for everyone can elicit positive attitude from employees. 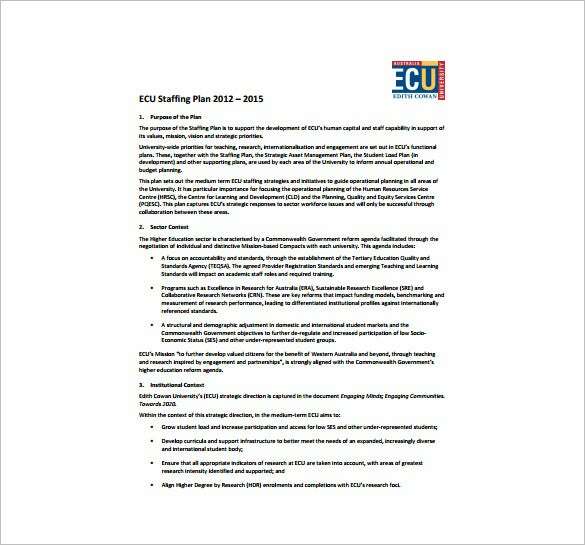 intranet.ecu.edu.au | ECU Staffing Plan Example is a Free PDF Template which is designed to support the development of ECU’s human capital and staff capability in support of its values, mission, vision and strategic priorities. 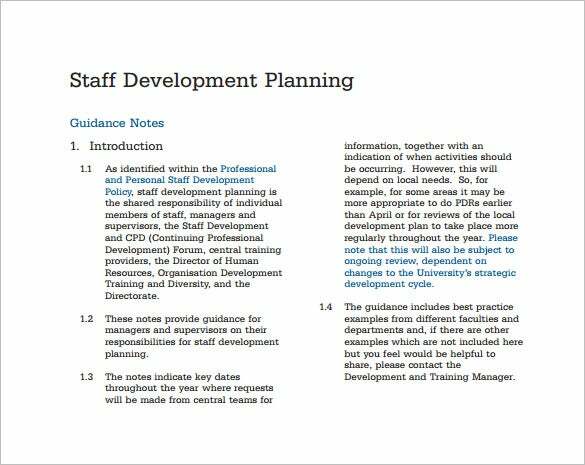 Our plan template sets out the medium term ECU staffing strategies and initiatives to guide operational planning in all areas of the university. 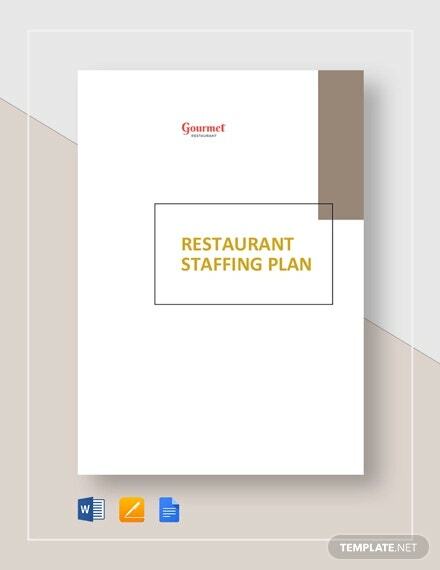 town.franklin.ma.us | Department Staffing Plan is a Free PDF template is a Strategic Plan outlining the long term vision for department staffing operations as well as the short-term goals required to accomplish this vision. 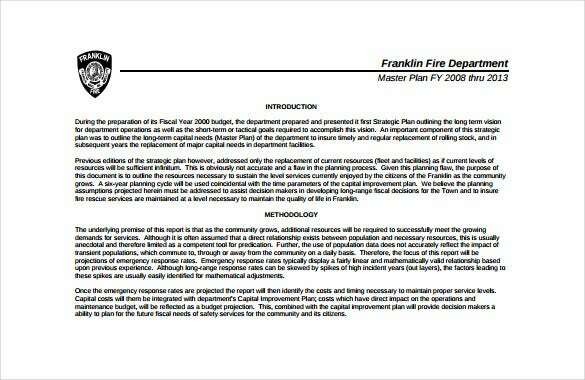 The purpose of this template is to outline the resources necessary to maintain the level services currently enjoyed by the citizens the community grows. itplanning.org.vt.edu | Every company project, especially in the IT sector, requires a different and specialized team to handle various projects. There’s a lot of paperwork involved too. 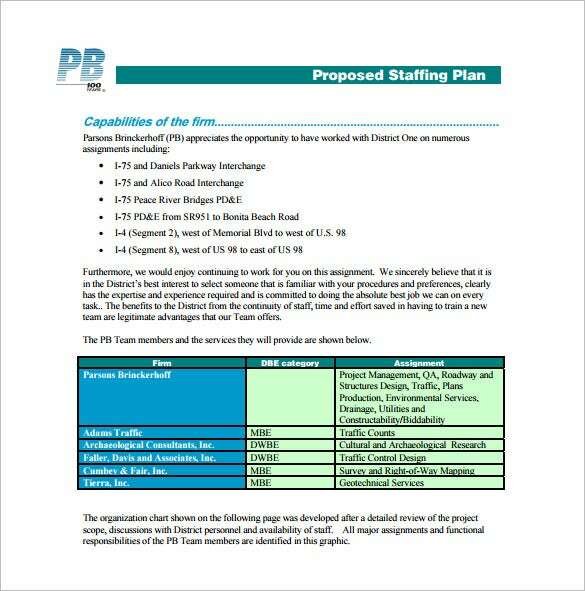 One of the processes is to design and develop a staffing plan based on the nature and priority of the project. 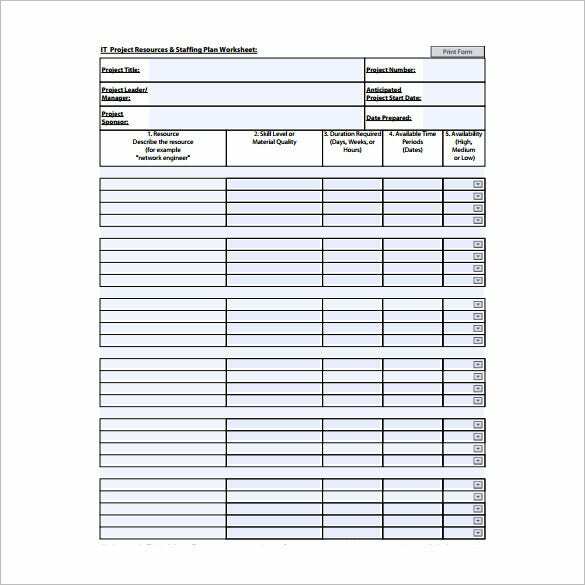 With IT Project Resources & Staffing Plan, which is a PDF template, you’d be able do the needful easy and quick!